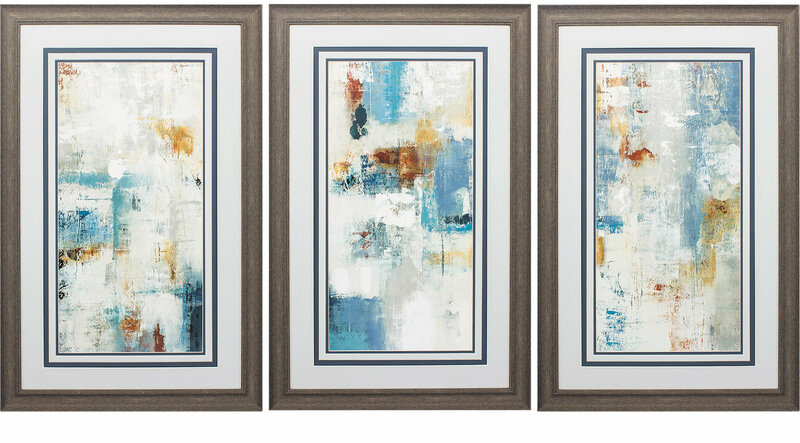 Set of three abstract images with blues and terracotta colors that have been double matted with a groove cut into the matting for extra style and sophistication. They are then framed under a glass with a repurposed wood-tone molding. Comes ready to hang and is hand assembled in the USA!